The Hegemony of Heritage makes an original and significant contribution to our understanding of how the relationship of architectural objects and societies to the built environment changes over time. 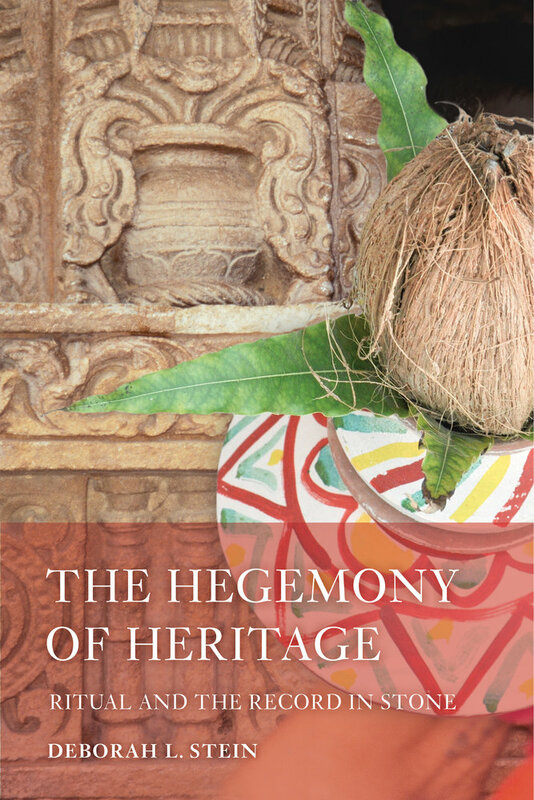 Studying two surviving medieval monuments in southern Rajasthan—the Ambika Temple in Jagat and the Ékalingji Temple Complex in Kailaspuri—the author looks beyond their divergent sectarian affiliations and patronage structures to underscore many aspects of common practice. This book offers new and extremely valuable insights into these important monuments, illuminating the entangled politics of antiquity and revealing whether a monument’s ritual record is affirmed as continuous and hence hoary or dismissed as discontinuous or reinvented through various strategies. The Hegemony of Heritage enriches theoretical constructs with ethnographic description and asks us to reexamine notions such as archive and text through the filter of sculpture and mantra. Deborah L. Stein holds a PhD from UC Berkeley and has taught at Mills College, UC Berkeley, UC Irvine, UC Santa Cruz, and San Francisco State University. Currently Senior Lecturer at California College of Arts, she is the author of several peer-reviewed articles.